The total amount of accumulated consumers’ debt for utility services has reached an all-time high 47.7 billion hryvnia, caused mainly by constant rises in utility service rates by the current government. 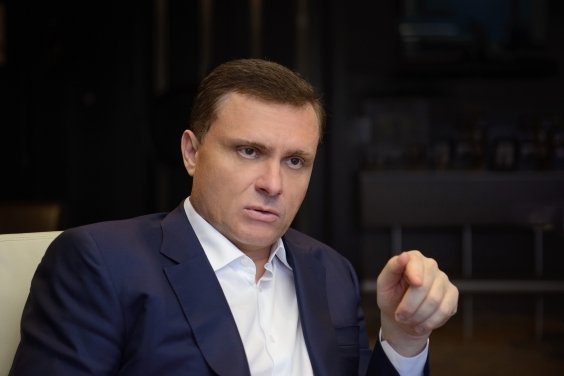 Given the situation, OPPOSITION PLATFORM — FOR LIFE MP Serhiy Lovochkin filed an inquiry to Ukraine’s Prime Minister Volodymyr Hroisman requesting to take measures that would allow consumers decrease their indebtedness. “I demand urgent and complex measures that would allow radically changing the situation with the population’s debt for utility services. Please inform me on the outcomes of the measures in terms as provided by the law,” the inquiry reads. Back in April 2018, the politician filed another inquiry drawing the government’s attention to the need of urgent solution to the problem of accumulation of the utility services indebtedness, which reached 40 billion hryvnia at that time. “Still, the Cabinet of Ministers didn’t take efficient steps aimed at eliminating this critical situation, which led to its significant deterioration. November 2018 saw an all-time high debt increase over a single month. Never since Ukraine’s independence had this debt risen by 7.8 billion hryvnia in a month,” Lovochkin stated. He said the total debt reached another all-time high of 47.7 billion, and it was when the old rates were still in effect. “We can now say that last year was one of the most difficult for the utilities sector since Ukraine’s independence. During 11 months of 2018, only 85 percent of bills had been paid, while in 2010–2013, before the multiround rates increase for gas, heating, electricity, and other services, the level of payments effected rarely dropped below 95 percent,” the MP wrote. Lovochkin is certain that the sharp rise of the population’s debt for utility services results mostly from the government’s constant increase of utility rates, which in 2014–20108 significantly outpaced the income growth rates for most of Ukrainians. “As a result, many citizens, whose income mostly covers food, medicine, and essential goods, are simply unable to pay their utility bills,” the inquiry reads.